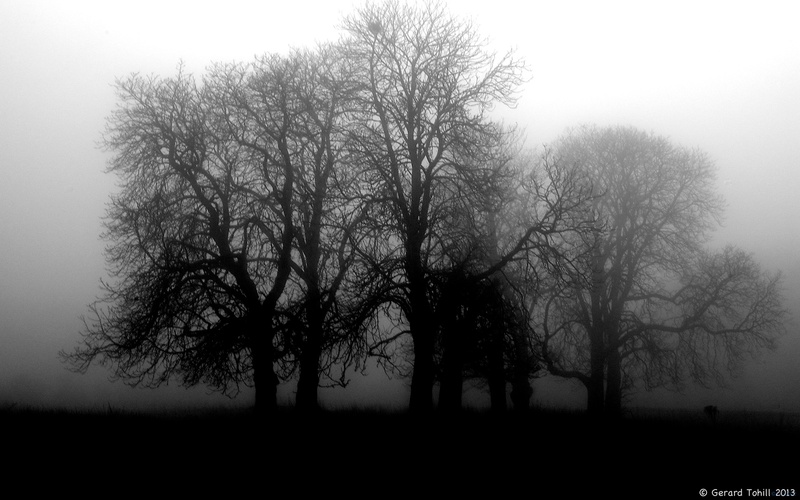 Taken through the mist, I decided to make this a high contrast black and white image. Not sure if it works or not – but I thought it worth a try. Can’t wait for some sunny days to take some colourful images. Yes – I see what you mean. I did consider a softer approach. The great thing about digital photography is that you can go back to the original image and look at it in another way – I may do that. Yep, it does work…………………damn well~!